I'm incredibly passionate about natural health, holistic health, natural healing, and physical fitness. I earned the title of certified nutritionist from American Health Science University and received my Associate in Arts Degree in 1978 from MTSU. I'm a professional member of the American Botanical Council, a nonprofit organization that helps people live healthier lives through the responsible use of herbs and medicinal plants. I've studied homeopathy for years and also fulfilled all membership requirements at the American College of Nutrition and currently sit as an elected member. I've trained in German New Medicine and serve as an active member of the Vitamin D council, official and current member of the PMAI. Fitness is a great personal passion and I've set many personal records throughout my life, including an unofficial world record for 285 chin ups in one hour in 2004. I've co-authored the book "Ways to Improve Your Health" and have written four ebooks including "Sick and Tired of Being Sick and Tired", "No More Restless Nights", "Simple Steps to Restoring Healthy Sleep Patterns" and "The Health Dangers of NOT Supplementing for Athletes." 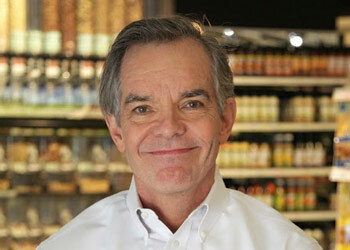 I opened one of the first health stores in Chattanooga in 1979. Nutrition World has been an incredible journey that has been both challenging and extremely rewarding. We're currently in the process of expanding our location and services into a fully functioning wellness center. We currently offer licensed counselors, chiropractic care, yoga classes, licensed massage therapy, personal training, thermography and frequent lecture at our location. We'll soon be adding a wellness clinic with a licensed nurse practitioner and wellness consultation staff. Nutrition World was recently voted as "Vitamin Retailer of the Year" in 2018 by Vitamin Retailer Magazine. In 2016 I created one of the most balanced macronutrient protein bars on the market today, the ZUNTA bar and is currently being sold throughout the United States. I also currently host a radio show, Vital Health Radio, with Dr. Christopher Greene, Chief of Staff at Memorial Hospital and strive to continue to grow my written, audio and video database to share with anyone interested in improving their own health. I began my podcast, The Holistic Navigator, in 2018 and on it share my 40+ years of experience with you.